Oil companies say BS-VI fuel will cost them 50 paise more per litre but the cost won't be passed on to the consumer immediately. New Delhi: BS-VI grade petrol and diesel, billed as "ultra-clean" fuel, will be supplied in Delhi from today, state-run oil companies said today, in a move that could help the capital city lower its alarming levels of air pollution. The fuel, which could help even current generation vehicles cut particulate emissions by 10 to 20 per cent, will not cost more for people to buy, they said. Delhi will be the first city in the country to leapfrog from BS-IV or Euro-IV grade petrol and diesel to BS-VI or Euro-VI. Cities in the national capital region like Noida, Ghaziabad, Gurgaon and Faridabad as well as 13 major cities including Mumbai, Chennai, Bengaluru, Hyderabad and Pune will switch over to cleaner BS-VI grade fuel from January 1 next year. Rest of the country will follow suit from April 2020. 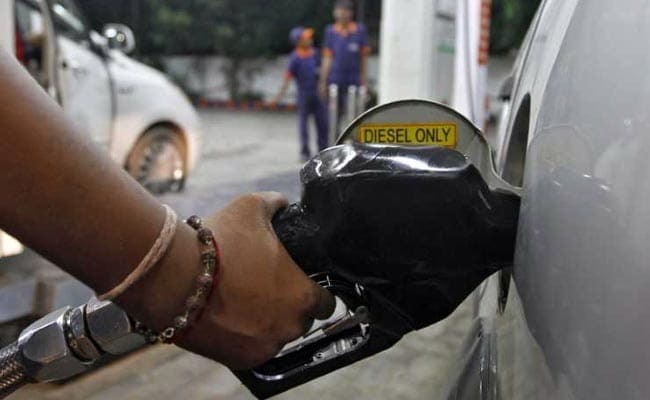 State-owned oil firms will begin supplying the BS-VI petrol and diesel (equivalent to fuel meeting Euro-VI emission norm) at all their 391 petrol pumps in the national capital territory from today, said Indian Oil Corp (IOC) Director (Refineries) BV Rama Gopal. While the oil companies have invested heavily to produce cleaner fuel, the consumers are not being passed on any of the cost for the time being, he said. "Rest assured we don't have plans of passing on the cost to consumers. There are no plans to recover (the cost) from customers immediately," he told reporters. The cleaner fuel is expected to cost around Rs 0.5 a litre more to produce and distribute. He said a mechanism of recovering the cost when the whole country shifts to BS-VI grade fuel would be worked out. India had in 2015 decided to take to Euro-VI emission norm compliant petrol and diesel from April 2020, from the Euro-IV grade at present. While the deadline for the rest of the country stands, the same for Delhi, which is among the world's most-polluted megacities, was brought forward. Euro-VI grade fuel contains 10 parts per million (ppm) of sulphur as against 50 ppm in Euro-IV fuels. Mr Gopal said the cleaner Euro-VI fuel and lesser grade cars and two-wheelers, which are presently available in the country, would result in 10-20 per cent reduction in particulate emission but for complete benefits, the vehicles too need to have Euro-VI engines.